Transition Year students from the Woodwork Project class present a cheque to South Tipperary Hospice. The group made and sold personalised Christmas decorations to raise the funds for the hospice which was their chosen charity. 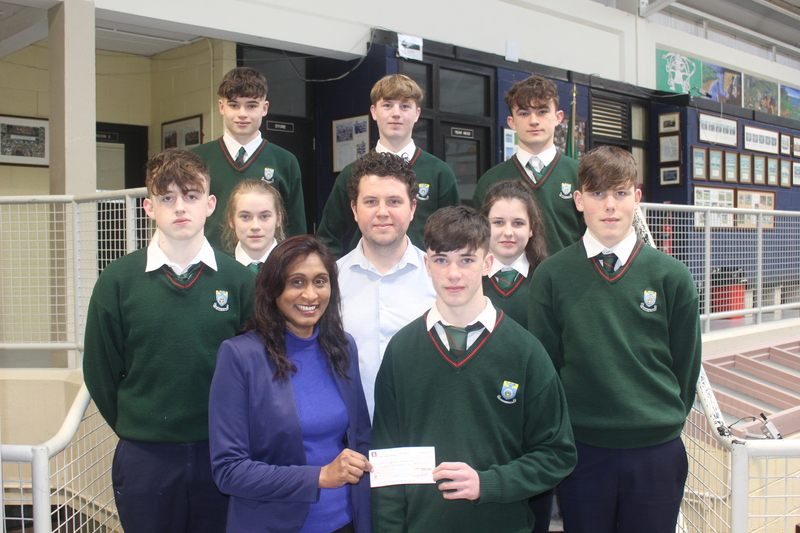 Ty students & Mr. Des O’Connor (Woodwork Teacher) presenting a cheque to Ms. Sinaida Jansen (South Tipperary Hospice) in CCS recently.